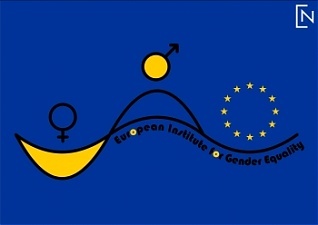 Sexual harassment at the European Institute of Gender Equality (EIGE) in Vilnius was more widespread than the few cases of harassment, former foreign employees of the Euorpean Union's (EU) institution told BNS, cites LETA. Intreviewed by BNS Lithuania, two former employees said that the institute was indifferent to the reports about possibly undue conduct in the team, adding that the reputation of the two women who had come forward was being damaged. "If there are 20 different nationalities, people think differently and the interpretations of gestures, words and conduct are different – it is more acceptable in some places and less acceptable elsewhere," she said. Judith said that the attitude towards what had happened showed that the head of the institute had failed to realize how serious the situation actually was. Politico.eu said that young females doing internship at EIGE had complained about continued flirtation from the above-mentioned men, along with juicy comments and invitations to go out. One of the interns said a man had touched her in an improper manner. Inquiries were conducted into the complaints, and they were found valid in two cases. The men at issue are no longer employed at the institute. Anne said there was a broader problem with work culture and relationships in the institution. "There is a wider issue of institutional bullying going on there, and from recent conversations with current staff that are scared for their job I believe that this has not stopped. The sexual harassment is just a manifestation of that. Sexual harassment is always to do with power and not sexuality. It is about people asserting their power in any way they can, this is why some of the perpetrators went after trainees and not more senior people like me," said Anne.